My last blog post was a Dummies Guide to QR codes, written for educators (like myself) who are new to these. This second post on QR codes looks at two practical teaching ideas, one using QR codes to generate text, and one using QR code to generate urls. Finally, some of the pros and cons of QR codes. A note on practicalities: These activities assume that your students have a mobile phone with camera, have already downloaded a QR Reader, and know how to use it (see my last blog post for how to do this). These activities take place in pairs or small groups, so you could have just one phone with QR reader per pair/group. The activities could take place inside the classroom, outside the classroom, or online. The second QR activity, which generates urls, requires that phones are wi-fi enabled. Just so you know. Create a series of QR codes with short text clues. 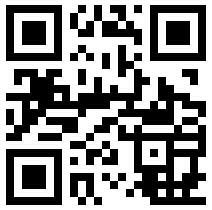 Print out your QR codes and stick them up around the classroom walls, or around your school/institution. Have a prize/reward and final destination point for your treasure hunt. Post a series of short text clues around the school to practice directions e.g. Leave the classroom, turn left, and continue straight ahead. Open the third door on your right. Your next clue is there! Make the clues progressively a little more complicated. In pairs, students follow the clues in each QR code, to a series of locations in turn. Each new location has a new QR code with a new clue. At the final location, leave some sort of prize or reward e.g. a packet of sweets that can be shared among all members of the class for young learners, or important information/a pleasant surprise for adults (e.g. corrected homework assignments). Once back in the classroom, put the students in new pairs. The pairs try to recreate the directions in writing, but change the final location clue. They then swap their recreated directions with another pair, and physically follow the newly-written directions, to see where they end up. Feedback and round up. What were the final destinations? Were any the same? What difficulties did they have with understanding the directions? What new language have they learned? You could also solicit feedback on the experience of using QR codes! Create a worksheet for your students on a topic you have recently covered in class. Add three QR codes to the worksheet, which provide links to further online information, in multimedia format (e.g. one link to video, one to audio, one to text + images). Include questions based on these online sources in your worksheet. Choose an event currently in the news that will interest your students. Find three different online resources which discuss this event: one video source (e.g. the TV news), one audio source (e.g. radio news item or interview), and one source with text and images (e.g. a newspaper or magazine online). Create a QR code for each of these resources, and add them to a single worksheet. Do all the sources report the same information for this news story? Are there any differences? Which source was the most comprehensive? Which source was the easiest for you to understand? Why? Which source was most difficult for you to understand? Why? In class, hand out your worksheets. In small groups, students use a mobile phone to access and view the sources together. Note that the phones will need to be wi-fi enabled! Students then discuss the questions in their small groups. Feedback and Roundup. Encourage your students to regularly access the source they preferred (video, audio, text), and to keep up with the news in English out of class time. Variation: Create different worksheets on a variety of topics, so that the small groups of students each work on different news stories. Before the final feedback and roundup, regroup the students so that they report back on their news stories to each other. Obviously the first question is – why bother? Why bother to generate code which contains short text messages, when you could just write/type the text messages? Why bother to generate a code which generates an url, when you could just as easily put the url directly on a worksheet in the first place? There are technical considerations, such as compatibility between codes and readers, screen size, and too much info being added to a code which makes the image denser and harder to scan. 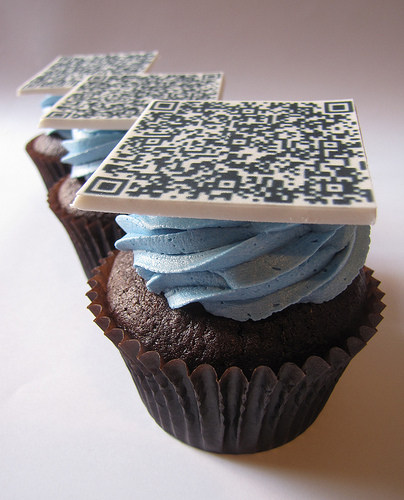 Students may be unfamiliar with QR codes, or just plain technophobic. Use these activities with the right class! QR codes are not a good first intro to technology in the classroom! Use with fairly tech-savvy students (or at least students who will not feel threatened by the technology). It’s much faster to scan and click on an url, then to try to type it in by hand on a handheld device. It also avoids the problem of mistyping long urls (we’ve all been there). It directly links the real and virtual world – click on a code link, go to online resources. No faffing around in between. In the treasure hunt activity above, it adds an element of secrecy and fun. This can be especially motivating for young learners. Yup, it’s the same QR coded link to further reading in my last blog post… if you haven’t tried it out yet, now’s your chance! Please let me know if you try out (or have tried out) any of the above or related ideas in the classroom with students, or have any pros/cons to add, in the Comments section. I plan to try these activity types out with my next f2f group of teachers here in Barcelona on our blended Cert ICT teacher training course in October…More anon! I’ve found another potential use – we have a 1:1 laptop program where I work and I’ll be using QR codes to get students to sites we’ll be using in class. Students can use the cams in their laptops and point them at a projected QR code to launch a website – hopefully that will be a time saver. I already have a group Diigo page for my class – so I don’t know if it’ll work any quicker than that. But I think the kids will get a kick out of being able to create their own for projects we’re working on. Wonder how we get them to fit into our yearbook?